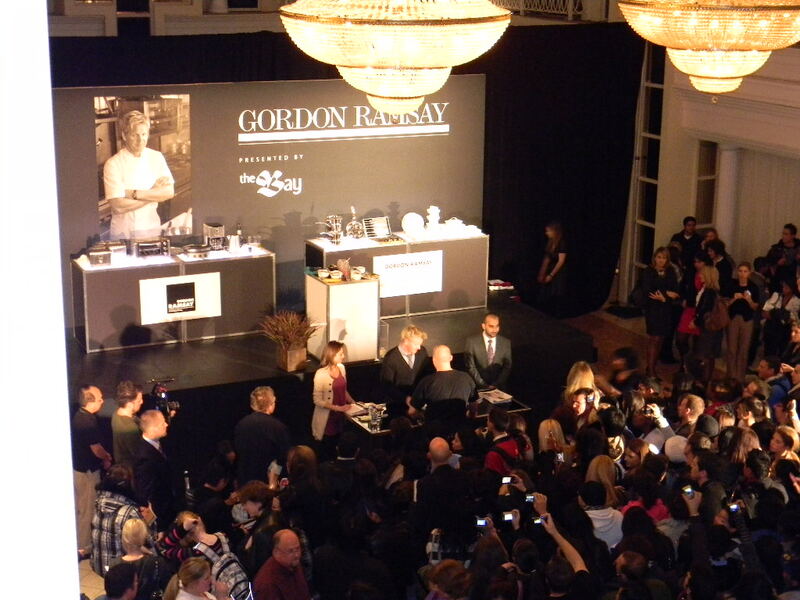 British Chef and TV celeb Gordon Ramsay was in Toronto this week and he stopped by Arcadian Court at The Bay, where he was welcomed by a big crowd of fans, aspiring chefs and media. 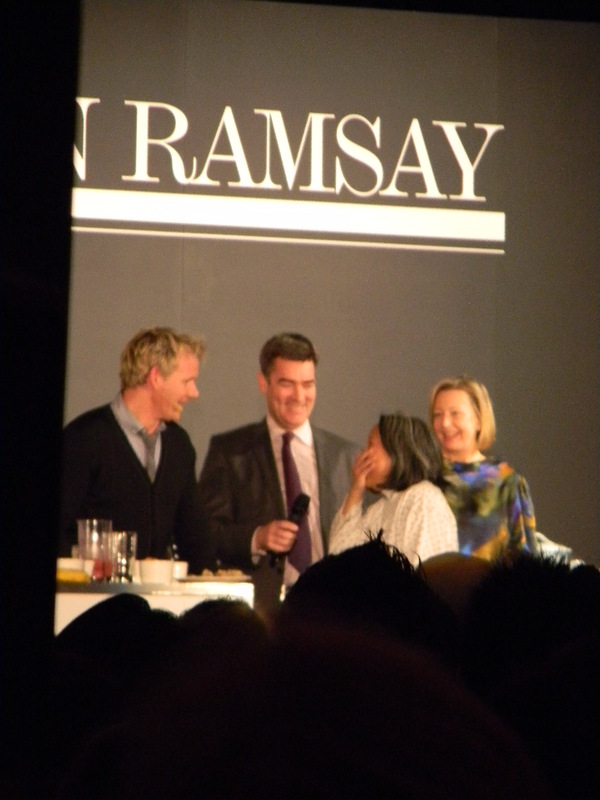 After attending this event now I understand why everyone loves Chef Ramsay, he’s warm, has a sense of humor and his accent makes him oh so adorable. Chef Ramsay talked about his line of products available at the Bay and announced the takeover of the Rôtisserie Laurier BBQ restaurant in Montreal. This would be Ramsay’s first step in expanding his empire in the Canadian Soil. Thanks to Melanie from The Bay, for allowing me to take some pictures of Gordon meeting his fans from the balconies. 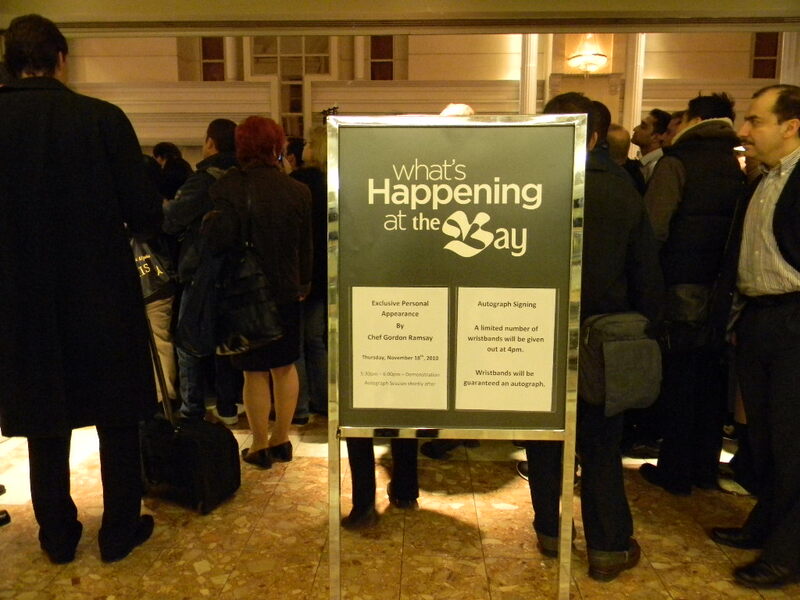 All I had before that was the picture below, thanks to the big turnout. I heard him on Boom yesterday morning … so charming! Previous PostSwarovski Christmas Tree Is Up!! Next PostBoys Will Be Boys….